For the next thirteen days you can pay what you want for a collection of games and soundtracks that would otherwise be worth $190, or more than £110. It’s an amazing deal that gives you a chance to enjoy a bunch of fine games and also donate to charity. It’s worth noting that the pack is worth getting for Company of Heroes alone, though there’s plenty more good stuff in there too. 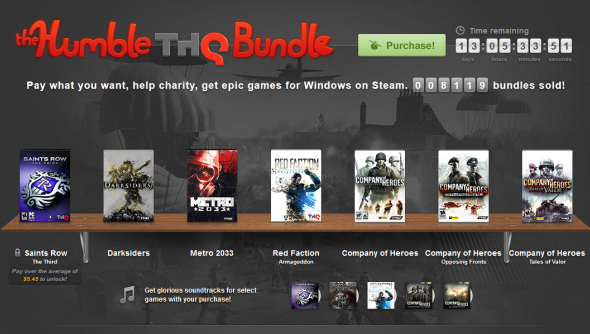 The bundle also includes soundtracks for all the games except for Metro 2033. At the time of writing, 11,000 bundles have already been sold.